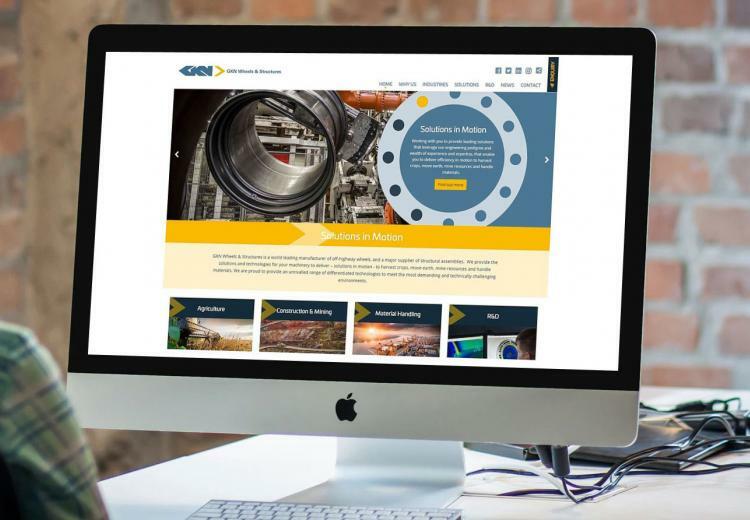 A world leader in the manufacturing of off-highway wheels and supplier of structural assemblies, GKN Wheels and Structures required a new website that would enable them to effectively engage with their global audience. Wanting to add greater impact to their online representation, GKN’s new website needed to both comply with corporate brand guidelines yet stretch the boundaries enough to produce a unique and visually exciting communications tool. GKN turned to The Web Orchard for help. Appreciating the world-wide reach of the organisation, The Web Orchard focused emphasis on design and imagery. Creating the impact that GKN required whilst maximising the understanding of the written content, images that attracted attention whilst clearly demonstrating the products and their uses were incorporated. Complemented by bold design, icons and instinctive layout, the objective of the project was successfully achieved. Further to the website going live, GKN Wheels and Structures have seen in increase in website traffic and inbound enquiries.